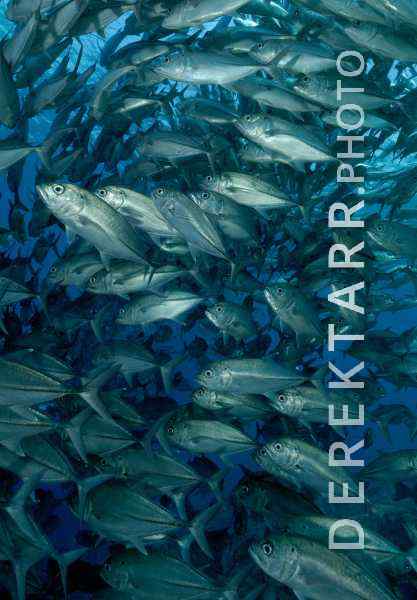 This photograph was taken while swimming inside a school of schooling Bigeye trevally (Caranx sexfasciatus). I spent nearly an hour in the same spot photographing the beautiful silver patterns of these fish against the deep blues in the background of clear water. Photographed at Barracuda Point off the shore of Mborokua (Mary Island) in the Solomon Islands.